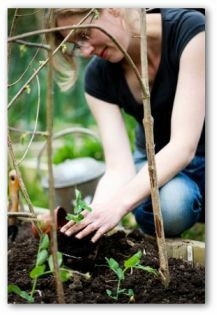 Looking for some simple vegetable garden ideas to help you plan a basic home garden? 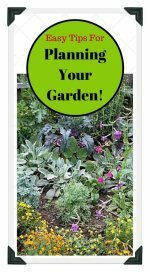 Well, here are a few easy plans for growing vegetables in your backyard, or on a patio, deck, porch or balcony! You don't need a huge backyard to grow a garden. Find a sunny spot on your porch, deck, patio or balcony and you are ready to get started. Here are five easy-to-grow plants to start a garden. 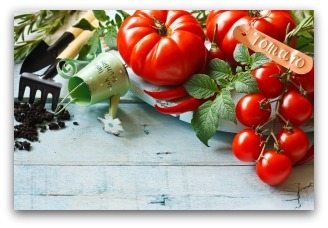 Plant tomatoes in rich well drained soil in full sun, allowing 3 feet or more between plants for good air circulation. Mulch with straw in a wide band around the vegetable garden plants to provide consistent moisture over the growing season and suppress weeds. 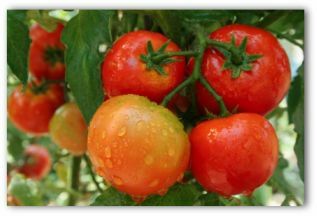 Tomatoes are easy to grow in containers, or planted directly in the ground in your backyard garden. Choose a smaller variety when planting in containers. Make or purchase a "cage" to support your tomato plant as it grows. Tomatoes have extensive root systems and should be watered deeply and often in the first month or two. As fruit begins to ripen, irrigate less frequently. Prune non-fruit bearing branches to encourage more tomatoes to develop and grow on your plant. Harvest as early as 80 days or as late as 150 days after planting, depending on variety and time of year. This is one vegetable that will grow well in cooler weather and a shady or semi-shaded location. 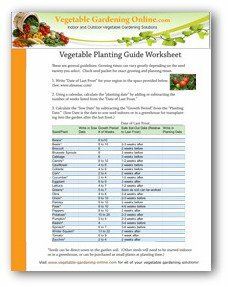 Plant additional seed or plants every 3-4 weeks to insure harvest throughout the season. 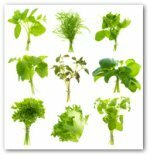 Seed packets containing mixed varieties of lettuce are available, and are a great way to have a variety of fresh colorful leaves for your salads and sandwiches. During hot weather, lettuce plants will "bolt" or grow tall and go to seed very quickly. Provide a cooler and shady location for your lettuce plants in mid-summer if possible. Green beans are vegetables that enrich the garden by adding valuable nitrogen to the soil. 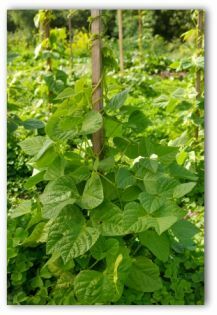 Plant smaller-growing bush beans to save space in your garden. Tall varieties will need to have a tee-pee or fence to support the vines as they grow. Green beans grow in all zones. Broad beans thrive in full sun and well drained slightly alkaline soil. A mild growing season is essential. The preferred environment is cool, moist air and adequate water or rainfall. Along with lettuce, turnips, and beets, the radish is one of the oldest grown vegetables in cultivation. The vegetable is good-natured and easily grown making them an excellent choice for a simple beginner vegetable garden or a child's garden. 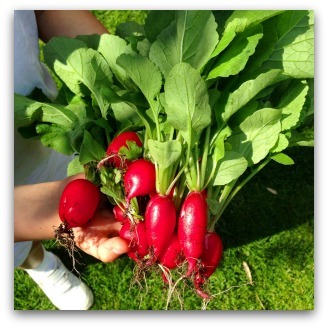 Radishes can be planted in all zones, require full sun, and regular watering. Because the vegetables are so easy to germinate, they are often sown as a companion crop to other larger and slower growing plants in the vegetable garden. 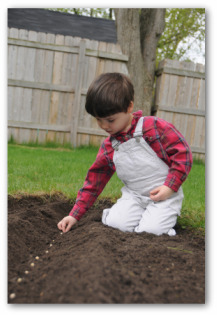 Growing onions is easy in a beginning simple vegetable garden. 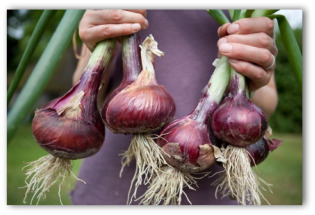 Plant onions from seeds or "sets", which are small onion bulbs that can be purchased at your local garden center. Onions do not require much space, and grow easily in a variety of soil and climate conditions. Frequent watering will help your onions grow more quickly. Carrots are a popular choice to grow with radishes, as row markers and to simplify thinning. Other slow-to-germinate seeds include cabbage, lettuce, peas, and leeks. 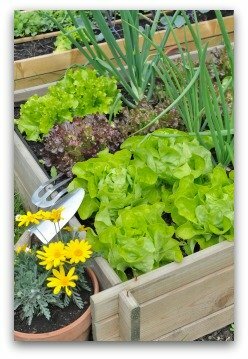 Consider growing a "salad garden" for your first vegetable garden. Salad gardens can have lettuce, onions, parsley, radish, and of course a tomato plant. The tomato plant will take much longer to produce ripe fruit than the lettuce, radish, and onion, but it is worth the wait! Nothing beats the flavor of a fresh salad from your garden; especially vine-ripened tomatoes! When choosing varieties, consider the color, shape, and size you desire. The hardest part will be narrowing your choices to something simple and manageable for a simple vegetable garden! Follow the planting instructions on the seed packet carefully. Each variety of vegetable may have different space requirements. 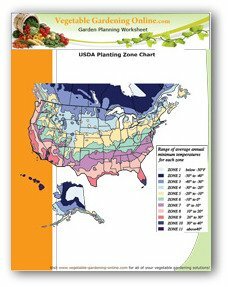 Download our zone chart and planting guide to know when to plant vegetables in your area. Try your hand at building a 4' x 4' square foot vegetable garden. Use two by six lumber to build the frame. Divide into 16 sections, and plant! Here is a sample square foot garden design to try at home. 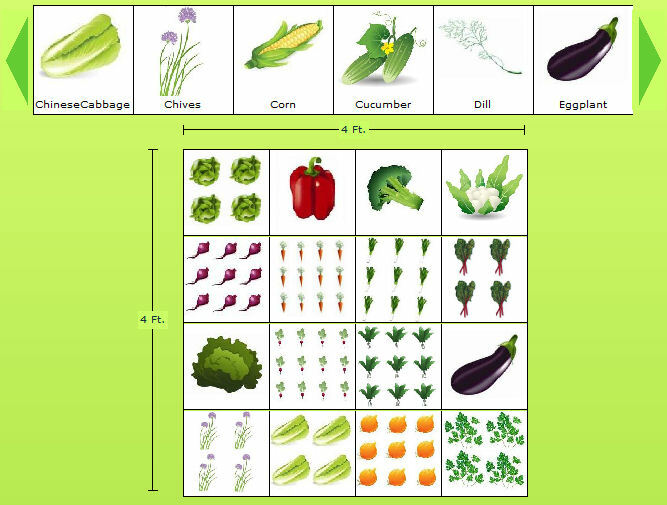 Use our free online vegetable garden planner to choose your vegetables and garden layout. Planning a simple vegetable garden is the best way to get started. Choose your five favorite vegetables, a sunny location, and you are ready to get started. Keep it simple, and build on your success each garden season. You can always try something new or different in your next vegetable gardening adventure.